Are you ready to start your family vacation planning that you have been putting off for a few months? A family vacation is a bit of effort for the workaholics of this world so it’s understandable if you’ve had some difficulty. Planning a vacation should be exciting though, so dig in and make it a fun time for all parties involved! The family vacation is a time to bond together as a family unit and enjoy new found times of closeness while exploring new adventures and locales. The memories you can make on these vacations will stay with you for years and give your children special moments they’ll treasure forever. Children and teenagers alike will appreciate being included in the planning of the family vacation. The keyword here is family so try to include everyone on the travel plans. Ask the questions that will generate numerous ideas to consider. Where does the gang want to go? Whether traveling in the United States or overseas, you have a world of opportunity just waiting to be discovered. Instead of feeling overwhelmed or even worried about taking your family on a trip, you will find that you have great options so everyone, regardless of age, will have a great time and come home with a cherished memory. For many, the top summer vacation will lead you to the beach this year and there are so many to choose from it is hard to single out just one. For starters, there are the gorgeous beaches of Florida. Daytona Beach and Melbourne Beach on the East Coast in Florida are still favorites among families who have surfers to consider. 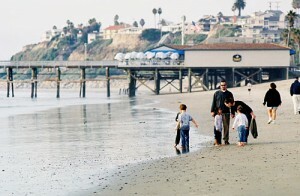 Malibu Beach is still the beach you must see when your travels take you to California. Or, your top summer vacation may opt for an all inclusive cruise for the family! Carnival Cruise Lines offer the best vacation package for the multi-interests of the family. Norwegian Cruise lines and the cruising offered by Royal Caribbean offer plenty of vacation options. Some of the best vacations can be found at one of the many casino destinations around the world. You don’t have to look very far for the best vacation deal when traveling to a casino destination because deals are everywhere you look! Outdoor activities encompasses a number of things such as hiking, biking, camping, kayaking, canoeing, and other favorites. More and more, we see families choosing outdoor activities for their family vacation. In addition to being a great time together, outdoor activities are an excellent way to promote health and fitness within the family unit. Some families are even opting for adventure travel options. Another idea for a fun family vacation are the vacations that are the once in a lifetime vacation that your children will hold dear to them all of their lives. You can choose to drive cross country and see the quirky roadside attractions such as the largest ball of yarn or the corn museum. Take the time to rent an RV, if you don’t have one, and see the entire US by camping all over the United States. If you prefer motels and hotels, check out some bed and breakfasts for a quick overnight stop. Then, go spend a few days in a hotel which caters to children where indoor water parks allow the parents plenty of time to sit back and read a long awaited novel while the children run wild and wet in the indoor pools. Other family vacation plans might be to explore State Parks and the Great Lakes, Visit Hershey, Pennsylvania and see the Amish Country. Go to the Big Apple, travel through Chicago and visit the Heart of America, the Heartland of America that is by visiting all of the pleasures of the Mid-West. See the beauty of Oregon and Washington State and find a nice country dude ranch in Colorado while you and your family find out how it feels to live in the wild old west! In addition to being a great outdoor option, national parks also offer a tremendous amount of history. With wide-open spaces, national parks offer a ton of exploration such as caves, dry desert hills, caverns, dunes, canyons, and more. You will also discover a variety of plants, vegetation, flowers, and wildlife, making national parks a great place for a family vacation. Now, when you consider there are 388 national parks in the United States, you can be sure you will never run out of places to visit. You and your family will have so many wonderful opportunities to walk along winding trails, standing in awe of cascading waterfalls, visiting volcanoes, getting excited about the spew of geysers, and learning all the magnificent history associated with each park. Both adults and kids alike love theme parks. Whether traveling to Disney World or Six Flags, you can be sure this will be a trip not soon forgotten. Start by choosing the best theme park for your family’s needs. Although there are theme parks located around the country, those located in California are among the most popular. In fact, four out of ten theme parks in California are vacation spots for families, even more so than beaches or other type of vacation. Another great option for family vacation is the ski trip. Even if you have smaller children, many ski resorts have special programs for small children even as young as two years of age. That means if you have small children but love time on the slopes, you do not have go forego skiing. You will find amazing ski resorts around the country with Aspen Colorado being one of the best. The YMCA offer a range of camps such as the Snow Mountain Ranch in Colorado that spans 5,100 acres and can host 2,500 people in cabins. Activities are available for children aged 3 and over including skiing, climbing and riding. Adults can enjoy use of the gym and health centre or simply enjoy a bit of quiet time while the children are being tired out! Bargain package holidays are readily available if you take a little time and research what’s available on the Internet. You can sometimes find some great deals and many all-inclusive vacations if you take the time to search. Your family vacation has never been so easy to plan on your own with the internet at everyone’s fingertips. Have the entire family pull up a chair to the computer and put your heads together for a fun-filled evening planning the greatest family vacation your family has ever had!